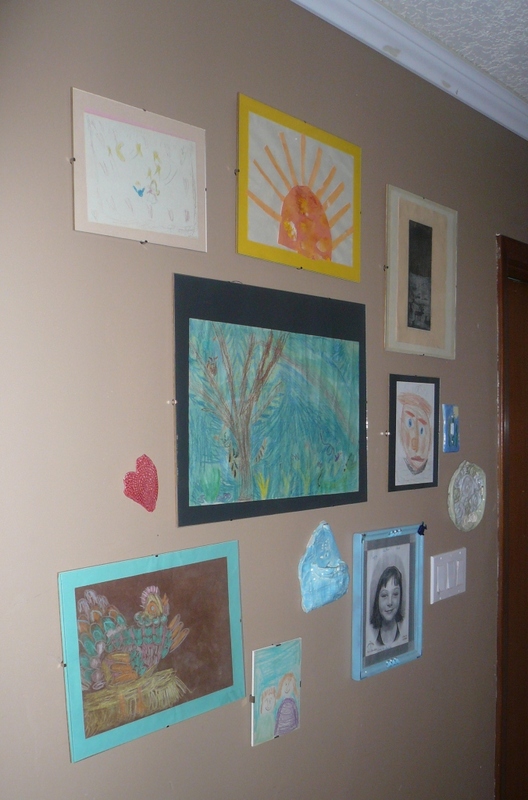 Here’s an example of how you can group kid artwork together on a wall….. 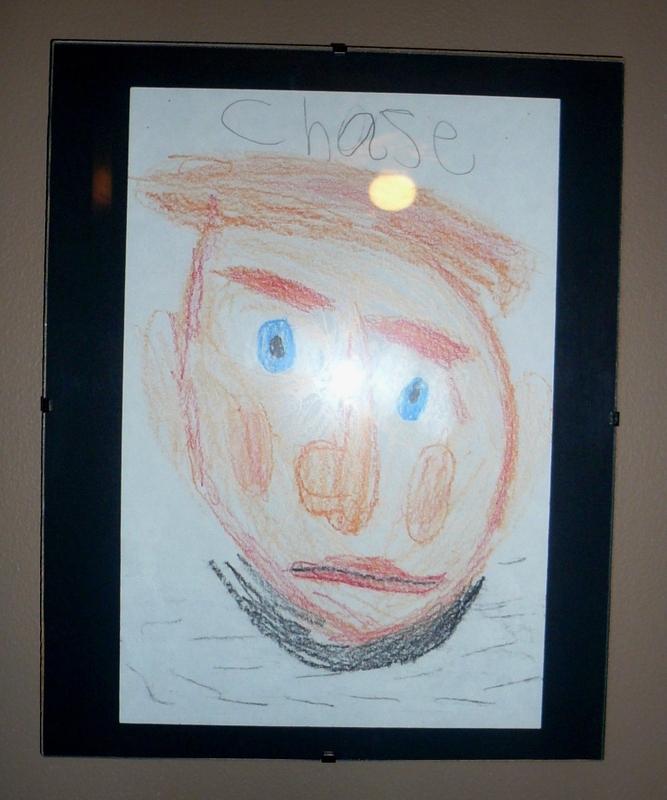 Above: A picture he drew of the both of us, and a Mother’s Day gift he gave to me. All very special to me, and lucky for me they were color coordinated!